Well, the Blue Planet Odyssey has begun at last. 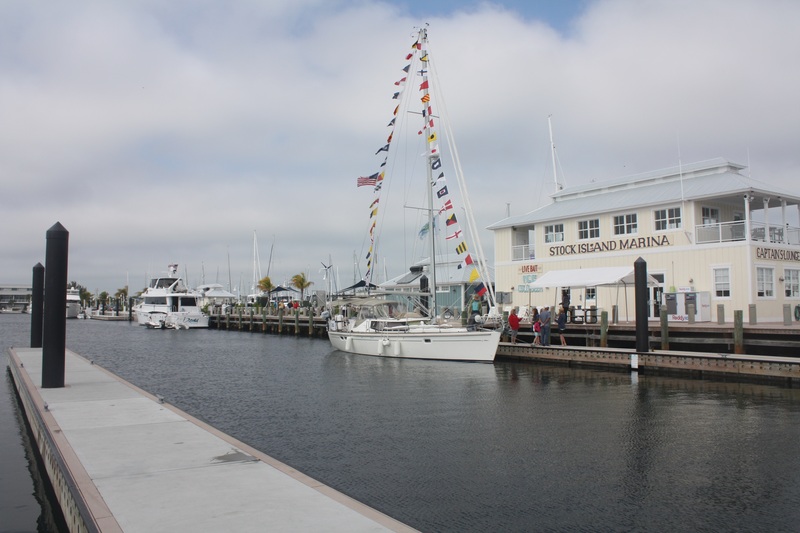 Jimmy left the dock first, to preside over the starting line (but this is not a race, right? 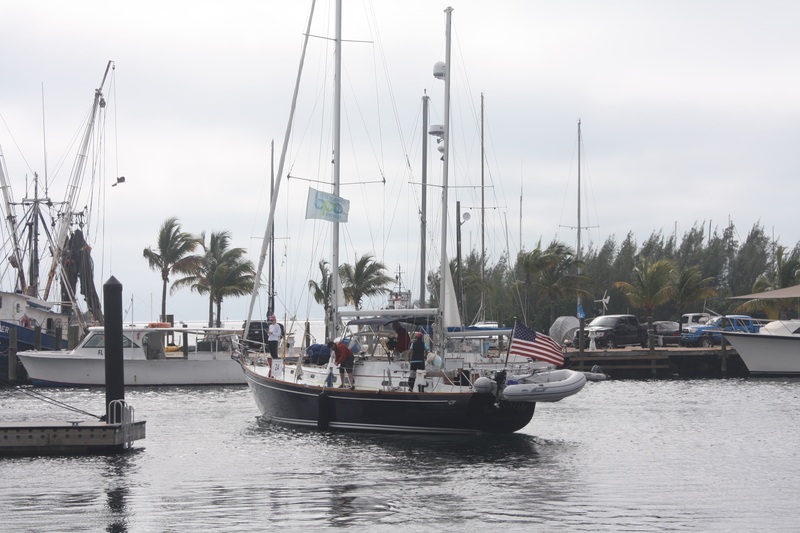 ), after which he heads north to show his boat at the Miami Boat Show. He hopes to catch the fleet later in Tahiti. 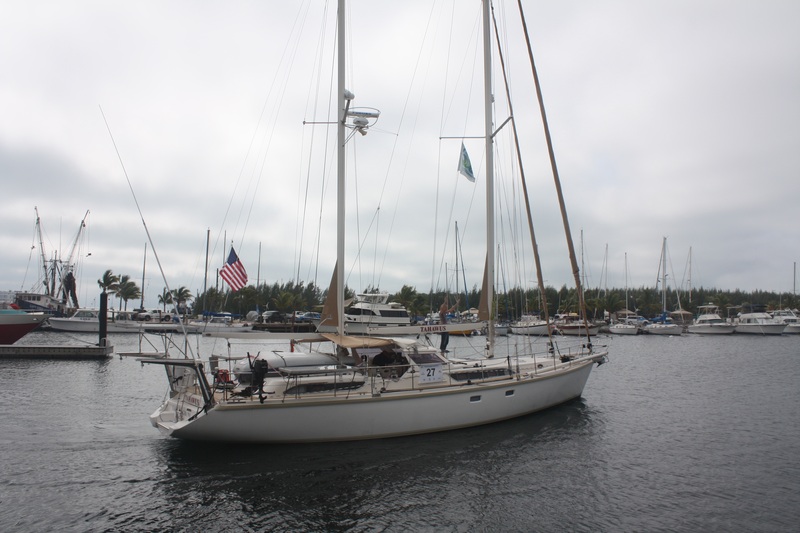 Then Tahawus, the boat with the two kids that will be sailing with us into the Pacific. 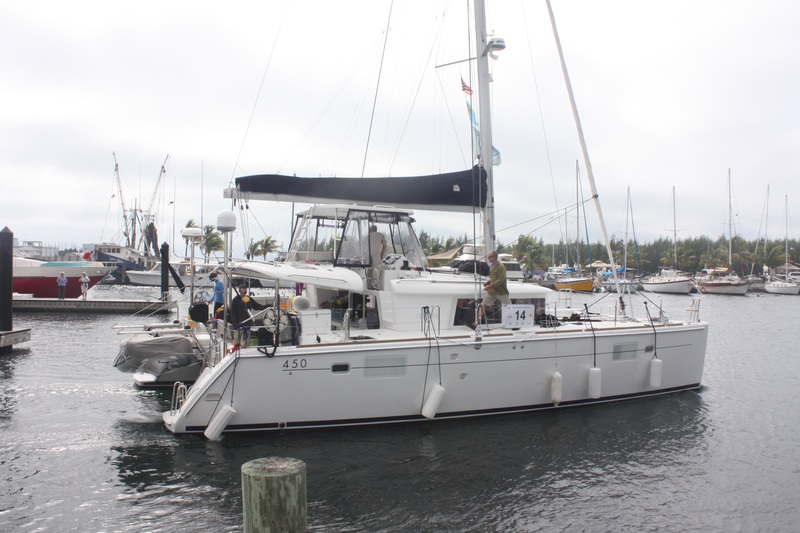 Then Chapter Two, the other catamaran in the BPO. 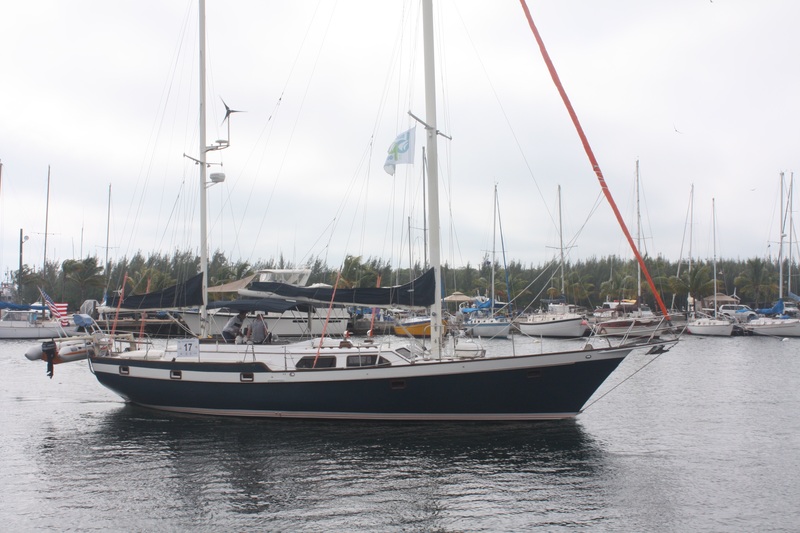 Next out was Ransom, a Hinckley 49. 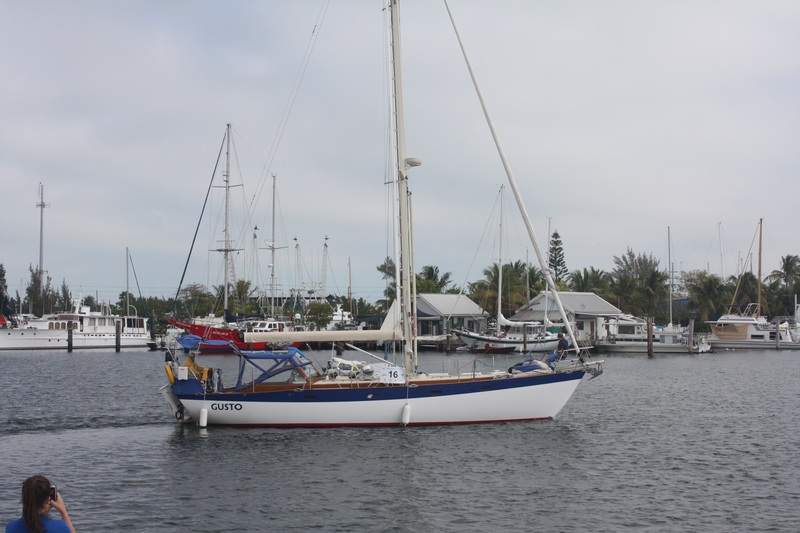 Then Gypsie left, but they are the boat that is hoping they can start in March, when Jimmy sets out to catch the fleet. Last out was Gusto, our compatriot from Belfast, Maine. Left behind at the dock was Joyful, who now also hopes to start in March. They are looking for experienced crew. 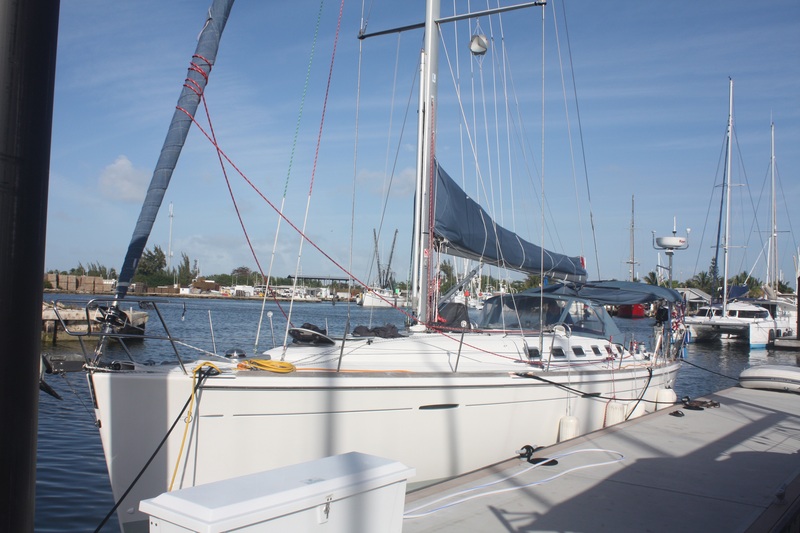 Contact me if you are qualified and interested in extended sailing! And Imagine, withdrawn due to health issues. 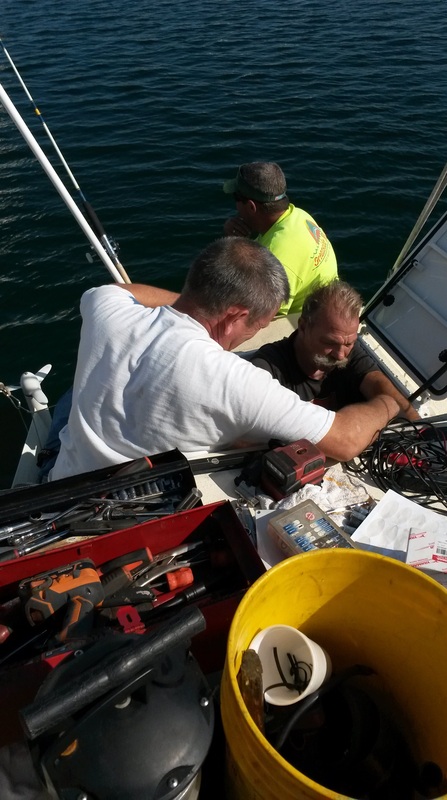 And us, with both mechanic and electrician spending their Saturday doing a lot of swearing and trying to get us going. Supposedly both engines are now working. We will be giving them some exercise tomorrow. 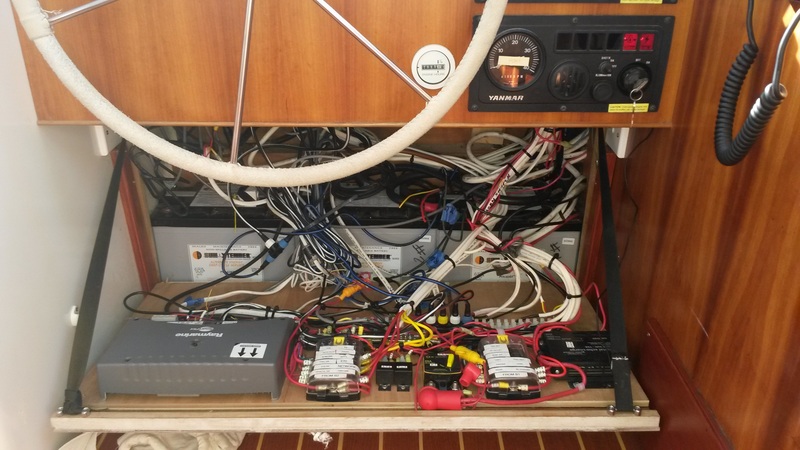 There are still some wiring issues that need to be sorted out though. The positions are not “real time” in the sense that the boats do not keep their trackers reporting constantly. If you click on an individual boat it will tell you the time of their last position report. The three stuck-here crews went out to dinner together tonight. 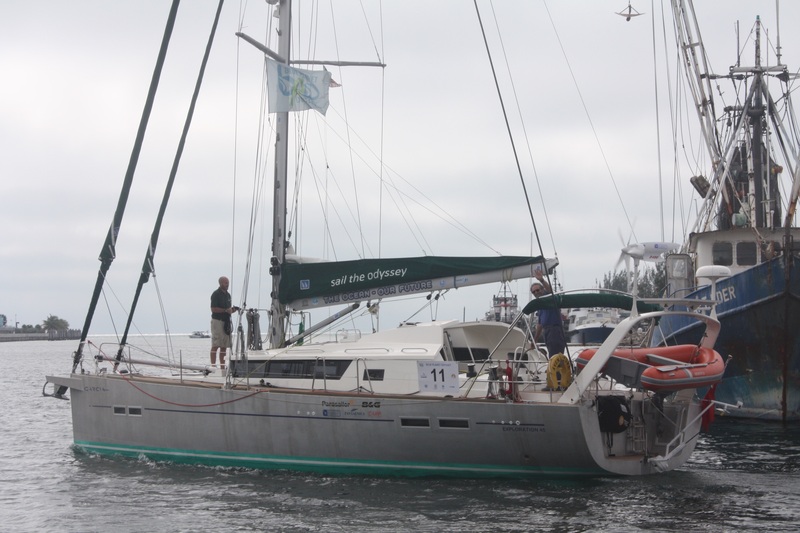 It was a nice way to simply acknowledge that, well, “Here we are,” each for different reasons and each with different plans, but all part of a voyaging community. May the gods of the infernal combustion engine shine their ever-loving light – never mind the fumes – on y’all. Hope your engine exercises go smoothly.